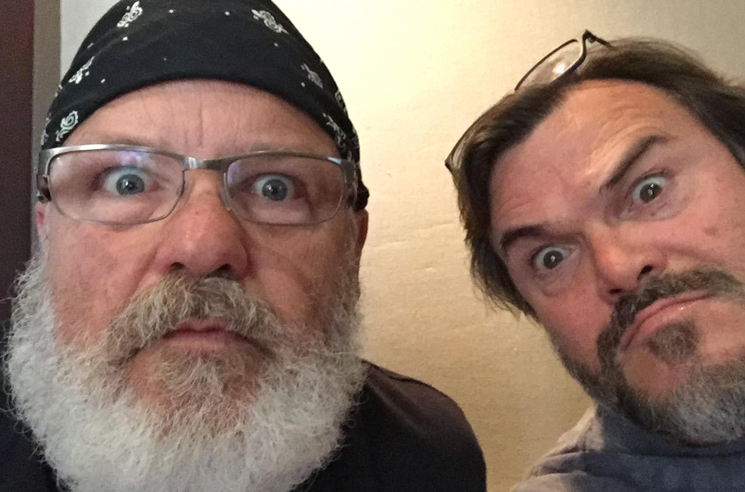 A little over 10 years on from making their cinematic debut, Tenacious D have announced a sequel to 2006's Tenacious D in The Pick of Destiny. As AJC Music Scene [via Consequence of Sound] reports, Jack Black made mention of a sequel film during the duo's performance at Shaky Knees Music Festival in Atlanta yesterday (May 6). "I don't know where you'll be able to see it, but we have decided that it's happening and it's coming out," Black said of the film. The site also mentions that Black announced an October release for the film. Tenacious D in The Pick of Destiny was released in November of 2006, and while it bombed at box office, the film gained a cult following for the duo's original music featured on the accompanying soundtrack. The film starred Black and bandmate Kyle Gass, and also featured appearances from Ronnie James Dio, Dave Grohl, Meat Loaf, Amy Poehler, Amy Adams, John C. Reilly, Jason Segel, Paul F. Tompkins and more. Tenacious D last released their full-length Rize of the Fenix and EP Jazz in 2012.